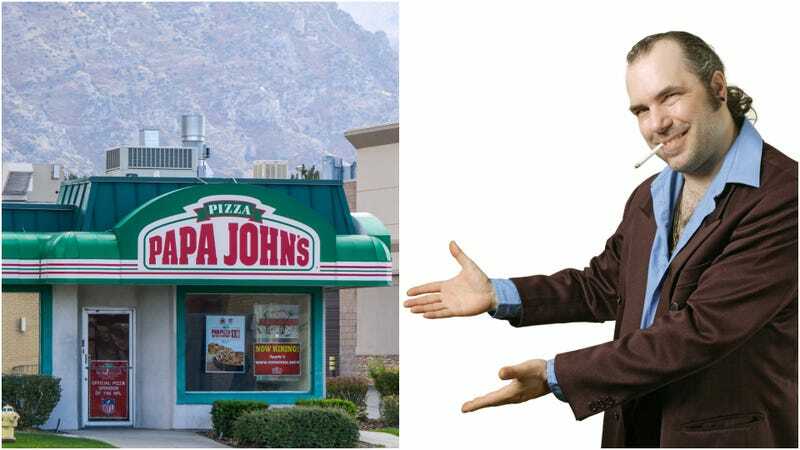 So, hey buddy, do you wanna buy the Papa John’s company? Hey, you there, the person reading the internet right now. You look like a smart person, a person who knows a great deal when they see one. And buddy, have I got just the deal for you! For the low, low price of… well, we can talk about that later—but for a low, low price, you could drive home today in your very own, only barely used pizza company! That’s right, folks, Papa John’s is lookin’ for buyers. Reuters reports the embattled pizza chain has reached out to potential buyers. It could be you, folks! Who wouldn’t want to drive off the lot right now, no money down, behind the wheel of a company synonymous with mediocre pizza and racism? It’s an offer you can’t refuse! Alright, I see you don’t want to bite just yet. That’s fine. I get it, you’re a savvy buyer, a person who knows what they’re after. What if I told you that Papa John’s is considering removing the apostrophe from its name? Huge, right? I mean, if that doesn’t convince you that this isn’t your papa’s Papa John’s, I don’t know what will. Wait, come back! Don’t you want to buy Papa John’s? Come on, folks—the garlic sauce is pretty good! Come back! We can negotiate!